In the US, Christmas season doesn’t really begin until after Thanksgiving has been celebrated on the last Thursday in November. In Finland, the season doesn’t really start until after Finland’s Independence Day on December 6th. Now that the 98th birthday of Finland has been properly celebrated in all its public pomp and circumstance as well as privately, in homes and among friends, we’re ready to move into the next stage of things, preparing our homes and our pantries for celebrating the joy of Christmas with family and friends. Since the tables tend to have no shortage of sweet options, I’ve gotten into the habit of making a few savory snacks as a complement. 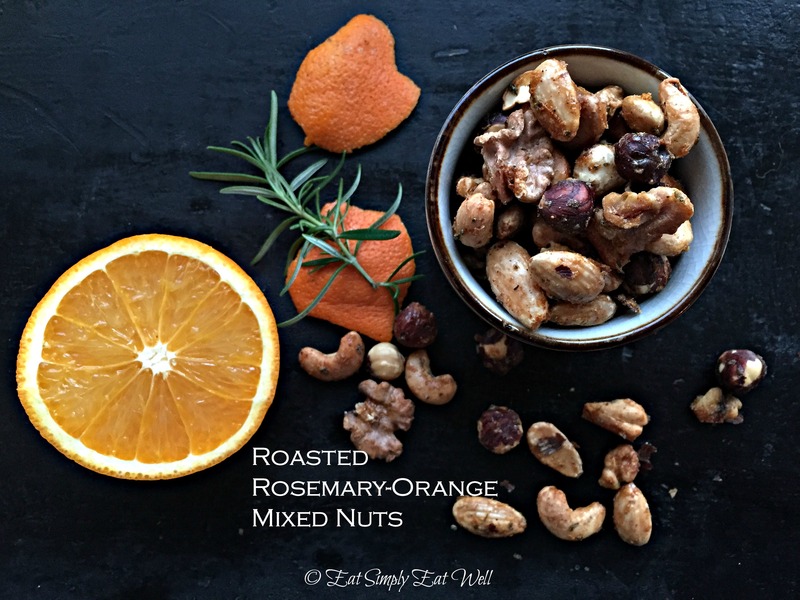 These roasted nuts have a hint of sweetness and a hint of spice, but the really magic is in the combination of rosemary and orange that reminds one of the season at hand while making them quite addicting as well. 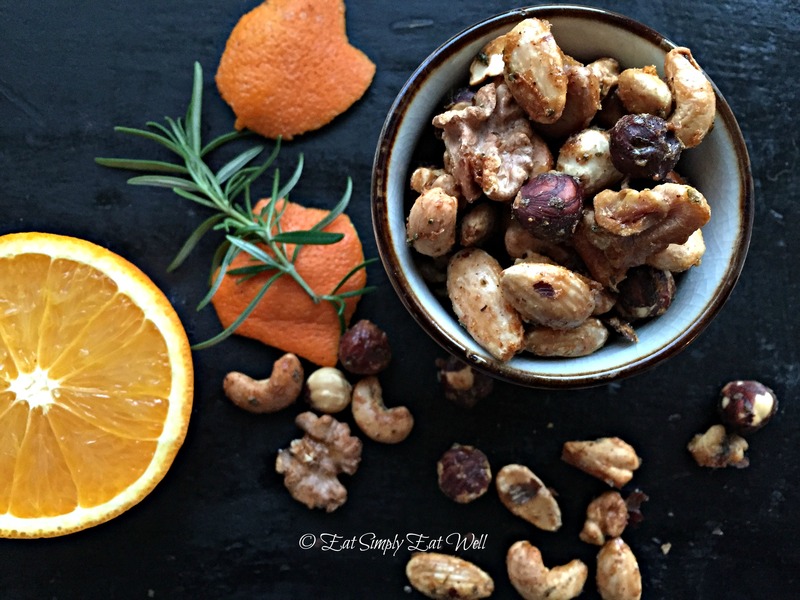 No need to use mixed nuts if you prefer just one type of nuts: I’ve used these on almonds, cashews, hazelnuts and walnuts to equally great results. My main piece of advice: make a big batch. These will disappear quickly. Great on their own as a satisfying savory handful; they are equally delicious used as a topping for your morning bowl of oatmeal or yogurt; as a salad topping; or sprinkled across a creamy dessert. These also a make great gift for your favorite hostess! Put them in a beautiful jar or a clear cellophane bag, add a label and ribbon, and your gift is ready. Combine all ingredients in small bowl and mix well so that the nuts are well-coated. Turn the mixture out onto a parchment-lined baking tray and place in the heated oven, and bake for 20 minutes or until golden brown. Remove fromt eh oven and cool completely. Store in an airtight container for up to 3 months. Makes 1 cup. (I usually make 4 cups at a time).